iTunes for Windows Review – Best Music Player or not? You are here: Home / Tech / Software / iTunes for Windows Review – Best Music Player or not? Windows media player have never been my default one and I’ve always looked for an alternative media player. 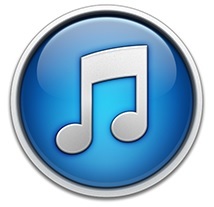 I’ve tried a lot of music players but recently I tried iTunes which is a free music player from Apple. Usually Apple products come with a price tag but iTunes is available for free. The first thing which I didn’t liked in iTunes is that its too heavy in size. If you’re also confused whether iTunes is best music player or not then I’m here with a review of iTunes for you. Right now the available version of iTunes is 11 and Apple provides updates time to time. 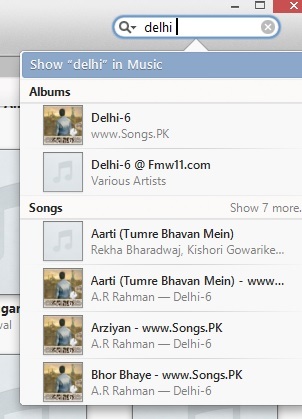 The very first thing which I like about iTunes is its user interface. The user interface of iTunes have always been appreciated by users and in my case, I really enjoy going through my music library in iTunes. To start with you need to import your music files into the iTunes. Don’t worry, it won’t save them on a separate location grabbing extra storage rather it will pick them up from their original location. As in all Apple products, user interface in iTunes is clean and looks elegant. Apple has not just made it clean but it’s simple as well. You’ll find using all basic music player features very easy. Once your music files got imported in the iTunes then you’ll find them indexed automatically according to the categories like Artists, Albums and Genres. Off course you can create playlists and there are few by default playlists included too like ‘Most played’. The control options are also designed in a simple way. You will not find a lot of controlling options as in case of other music players like Winamp. You can also switch to mini player version of the iTunes which looks extremely tiny but still got important controls available to shuffle along your music library. If you own an iOS device then you must be having songs and movies purchased from the iTunes store. You’re going to find all your content right in the iTunes or if you want to buy more then you can access the store right from this app for Windows. iTunes store also shows apps which are available for iOS devices like iPhone and iPad. All of your content is synchronized with your Apple ID via iCloud integration. I didn’t like this kind of search tool in any other media player before. In order to find any song or album you simply need to type the initial letters of its name and there will be a list in front of you. The best part is that you can play any song right from the search result. The search tool finds songs and albums almost instantly thus save a lot of time. I personally like this feature as I don’t need to scroll through complete library to find any song I want to play at any instant. Equalizer is also there within the iTunes which allows users to set 10 different things which affects the quality and effect of audio. Users can also select a preloaded setting from a long list. You can also put on your movies and TV shows into the iTunes which you can access directly from the library rather than searching it in the file manager. You can even access podcasts within the iTunes so these are the additional features in this music player. The only thing which isn’t good in iTunes for Windows is its heavy size but it’s extremely good on its features and functionality. You’re going to get addicted to its simple UI within few days of using it. So, according to me iTunes for Windows is the best music player. Let me know what you think.